A quick follow up to the Midleton House post. 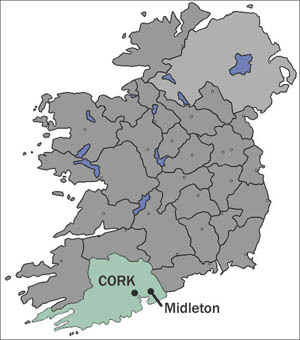 As you know our last post examined the history of the name Midleton House associated with two different houses, each on opposite banks of the Roxborough or Dungourney River in Midleton. The National Library of Ireland has a lovely early twentieth century image showing part of Midleton House , The Rock. 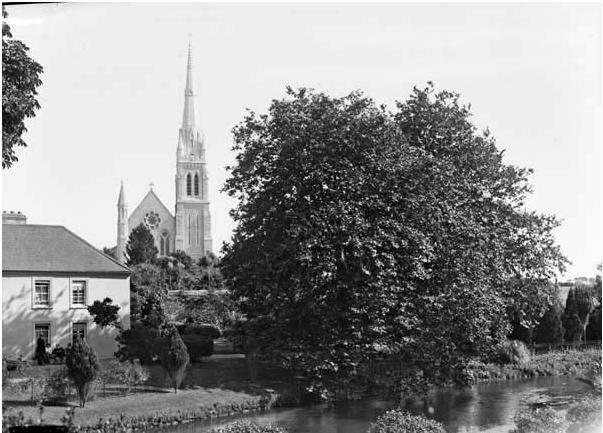 What is of note is not just the dominant position of the newly built Holy Rosary Church (spire completed in 1908) but the fine gardens around the house. Today there are a lot more large trees around the house.